Octopuses are boneless creatures. They are invertebrates with extremely flexible bodies that can squeeze through incredibly small spaces. An octopus has three hearts, nine brains, and blue blood. Two hearts pump blood to the gills, while a third circulates it to the rest of the body. The nervous system includes a central brain and a large ganglion at the base of each arm which controls movement. 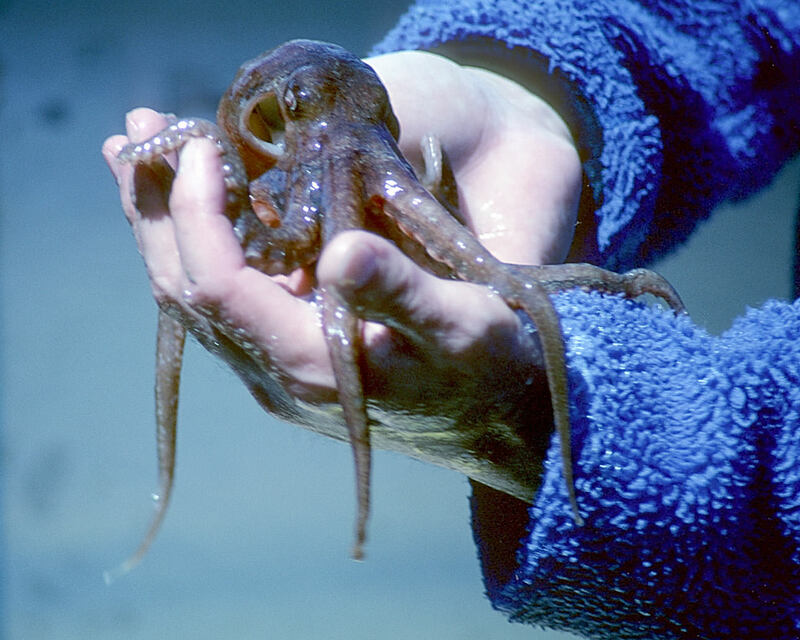 Octopus blood contains the copper-rich protein hemocyanin, which is more efficient than hemoglobin for oxygen transport at very low temperatures and low oxygen concentrations. Octopus, along with squid, cuttlefish, and nautalis, are cephalopods. Most of the hundreds of species of cephalopods have three hearts.